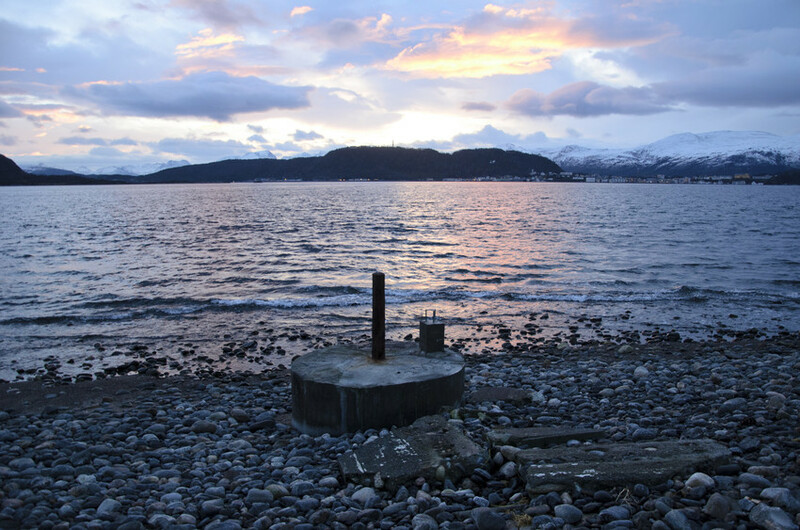 A mooring point on the island of Valderøya. An åbord is a mooring point for sailing vessels. In ancient times it was called åburd, from å, something that is on the top, and burd or byrd, something you carry. The name may mean something you carry on top or that will lock the bollard. 19th century Norwegian linguist Ivar Aasen writes in his dictionary aabord, a mooring point, a pole or stone to which a vessel can be moored. Perhaps originally Aaburd. 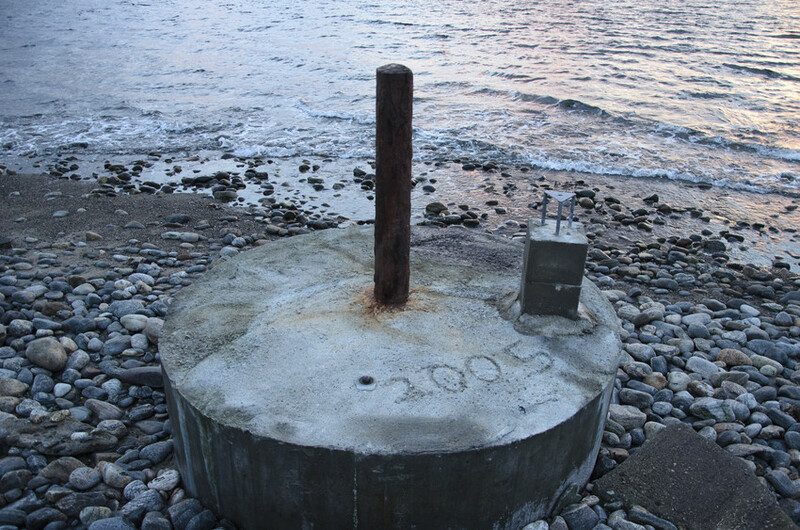 This one has been restored using concrete and dated 2005.